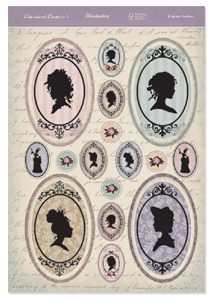 Foiled in black, our Elegant Ladies topper sheets co-ordinate perfectly with the Classic Cameo card blanks. 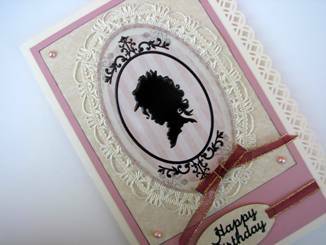 Each sheet contains four large victorian style cameo silhouettes with smaller oval silhouettes and round rose embellishments. Made from A4 silk-art 300gsm acid & lignin free card.